This entry was posted on May 19, 2015 by Texas Safety Supply. with stronger alternatives like Sqwincher Drink Mix. 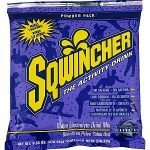 In view of the oncoming severe summer months and the compelling need for enhancing employee performance, it is imperative to understand the urgency of a complete hydration solution and that solution Is Sqwincher Drink Mix. This article will not only define the importance of sufficient fluid supply but also highlight the requirements for beverages like Gatorade and Sqwincher Drink Mix that are, undoubtedly, more effective than water. Summer means exposure of workers to blazing and sweaty work conditions on a regular basis. Workers in specific industries including petrochemicals, outdoor works, etc., are overly exposed to severe heat than others. Heat equals sweating. Sweating equals dehydration. Dehydration equals fatigue and lower work performance. Hence, proper hydration on the job with Products like Sqwincher Drink Mix is an absolute necessity and cannot be stressed enough. Employers must prioritize hydration above anything else to maintain optimum employee health and productivity levels. Studies prove that water loss through sweating leaves workers feeling tired, less enthusiastic and thereby, considerably unproductive. Sufficient hydration means a balanced mental and physical health, which means higher performance levels. Sweat is not only the loss of water but also essential body nutrients. Replenishing oneself with water alone is not enough. Electrolyte supplements are the need of the hour. Beverages like Gatorade and Sqwincher Drink Mix are created to address these issues specifically. Daily exposure to high temperatures is the major reason for most heat-related illnesses. Even after two hours of normal work, workers might start feeling the initial symptoms of heat stress. Besides the obvious physical fatigue, workers might also experience extreme levels of anxiety and irritability. Within an hour, they will start to lose their energy, concentration and strength. Heat stress can also lead to unconsciousness in extreme stages. Industrial work is a heavy impact duty. These workers need fluids that help them keep working amidst the harshest of conditions. 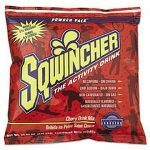 Sqwincher Drink Mix has been developed with the sole intention of replenishing workers with competent levels of electrolyte supply. It helps workers rehydrate and recover the much-needed energy and focus required to accomplish hard tasks. The human body needs fluids to control temperature and also maintain muscle functions. Replacing body fluids that are lost through sweating is, therefore, a must. Physiologists state that the ingestion of fluids reduces the rise in body temperature by promoting higher skin blood flow. By maintaining a steady intake of electrolyte fluids like Sqwincher Drink Mix every 15-20 minutes, workers can maintain the required levels of hydration. 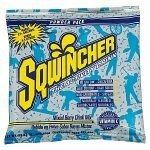 Sqwincher Drink Mix is a good source of sodium and glucose. Sodium plays an effective role in minimizing urination. As a result, the cardiovascular system faces less stress and the chances of heat-related illnesses, and injuries lower. There are a few basic steps that industrial workers could follow to remain hydrated. Workers under strenuous work conditions should drink before, during and after physical labor in order to replace the fluids they lose through sweating. To ensure that their bodies remain properly hydrated, workers should drink 5 to 7 ounces of fluids like Sqwincher Drink Mix every 15 minutes. It is a must for women to consume at least 67 ounces, and for men a minimum of 84 ounces of essential fluids daily. 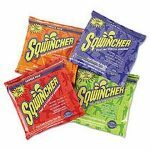 It is a good practice to adequately stock the workplace with sufficient electrolyte beverages like Sqwincher Drink Mix, and also ensure its easy access to all workers. Coffee, soda, tea and other caffeinated or sweetened beverages must be avoided. Workers should keep a check on the frequency and color of their urine. Dark yellow colored urine signifies dehydration and lesser fluid intake. If the workers are properly hydrated by Sqwincher Drink Mix, they will be in good physical and mental shape; it will enhance their efficiency as well as productivity even in the most difficult working conditions. As a result, their daily work won't be hampered because of unwanted problems of headaches, bad mood, physical fatigue, light headed and work related accidents due to low speed and alertness.